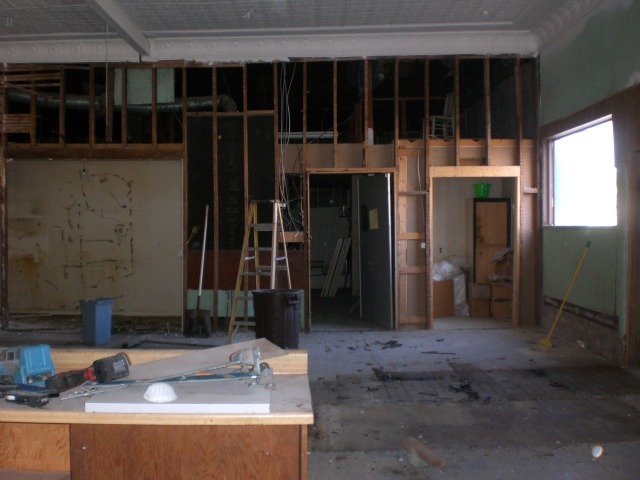 The timeline of events for the access to food project dates back to late fall 2006. In October of 2006, Bean's Country Market-Morland's locally owned grocery store, closed its doors due to the owners' retirement. 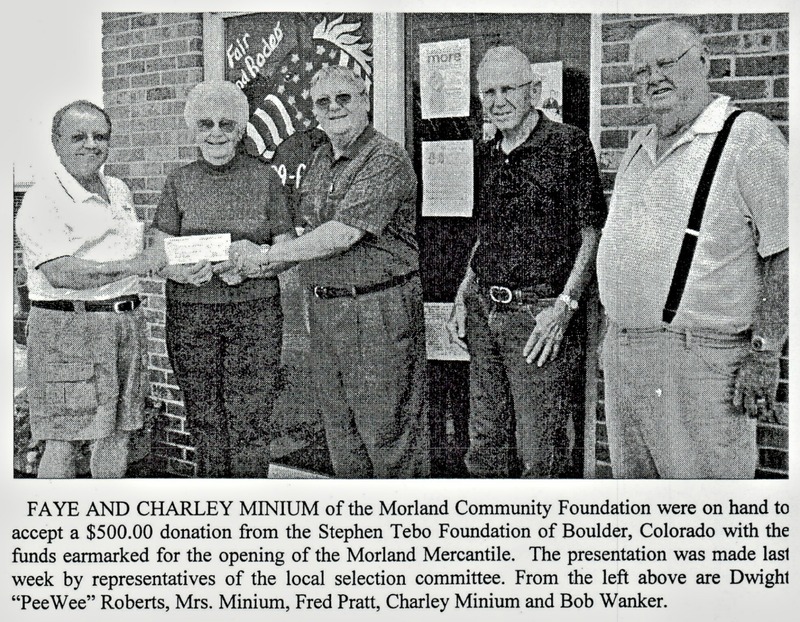 The Morland Community Foundation started it's efforts shortly after the closing of buying the building and renovating it. The foundation has had it's share of ups and downs in the process. 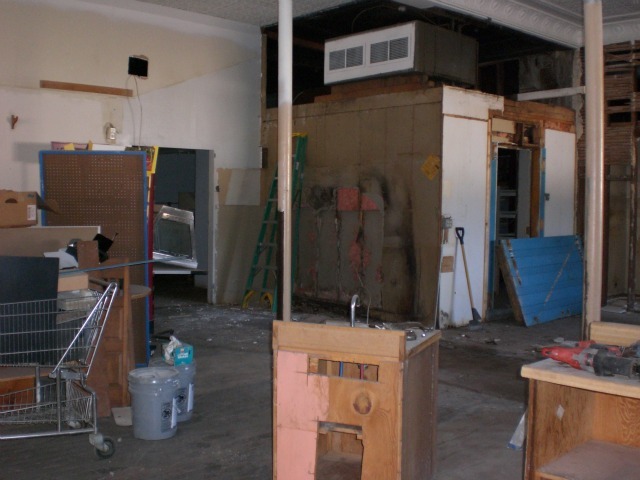 In an effort to obtain grants and additional funding to assist with the renovations, a whale of a problem was hit-the store was found to be in a flood plain, making it inelligible for the grants. 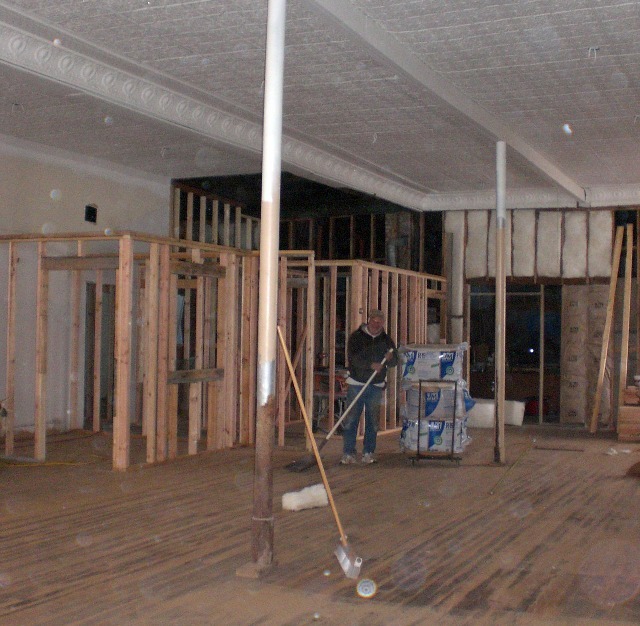 As of late, the flood plain has been remapped and renovations have begun. 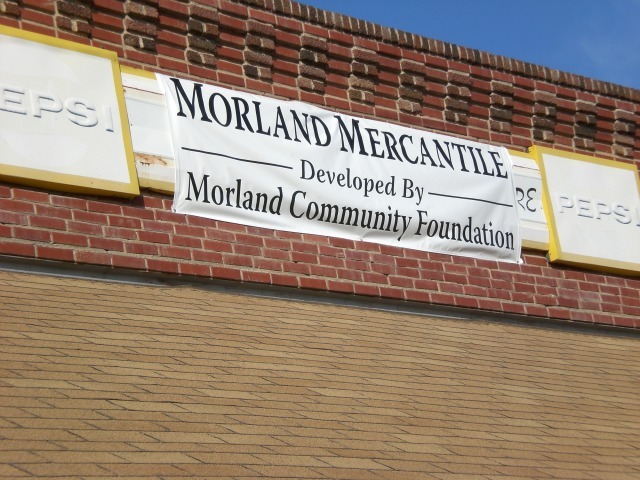 Morland Mercantile is expected to open sometime late 2011-early 2012. Pictures above part of renovation process. More updates to come. 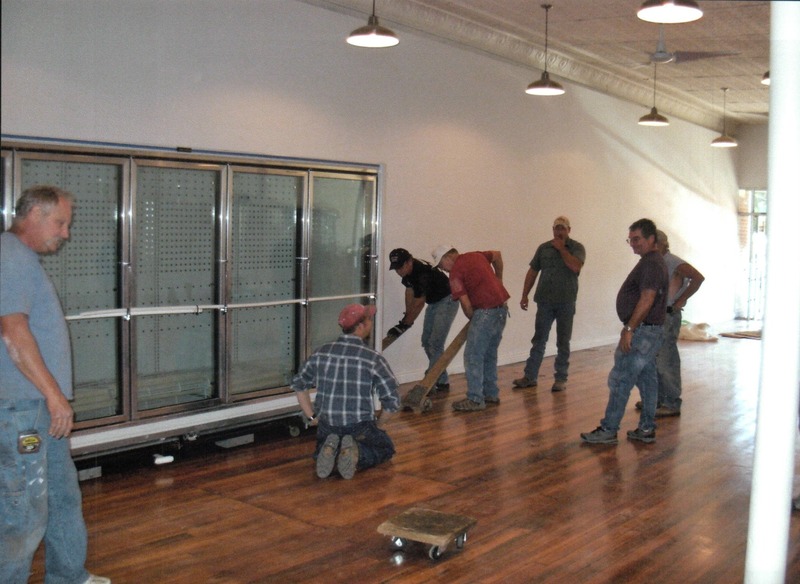 The latest update for the Mercantile is compressors have been delivered in the last weekend of September. Volunteers are delivering the coolers the first weekend in October.